Live accompaniment on organ by Ben Model, one of the leading silent film accompanists in the world. Presented with ArtsRock and Arts Angels, and sponsored by Rockland Tourism. Does the name Ben Model sound familiar? Ben accompanied the very first film presented by Rivertown Film, Buster Keaton’s The Cameraman, in 2001. Even then he was one of the leading silent film accompanists, and is today the official accompanist for the Museum of Modern Art and the Library of Congress. A film historian, he has restored numerous forgotten silent comedies and released them on his own DVD label. To see a four minute video of Ben Model talking about accompanying silent films, specifically Nosferatu, visit the Time Magazine website. 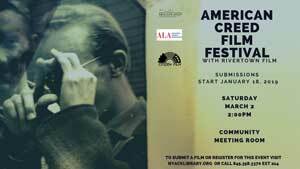 Tickets: $10 students, $15 members of Rivertown Film and Arts Angels, $20 general. 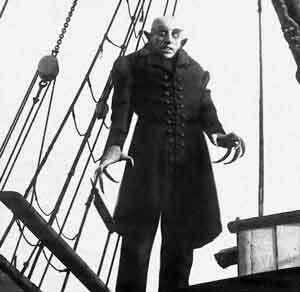 Here is a five minute film from 100 Years of Cinema which discusses Nosferatu and why it is an essential classic.